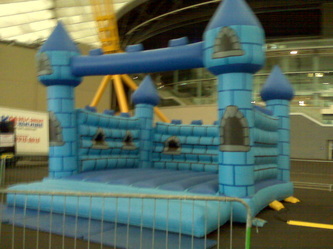 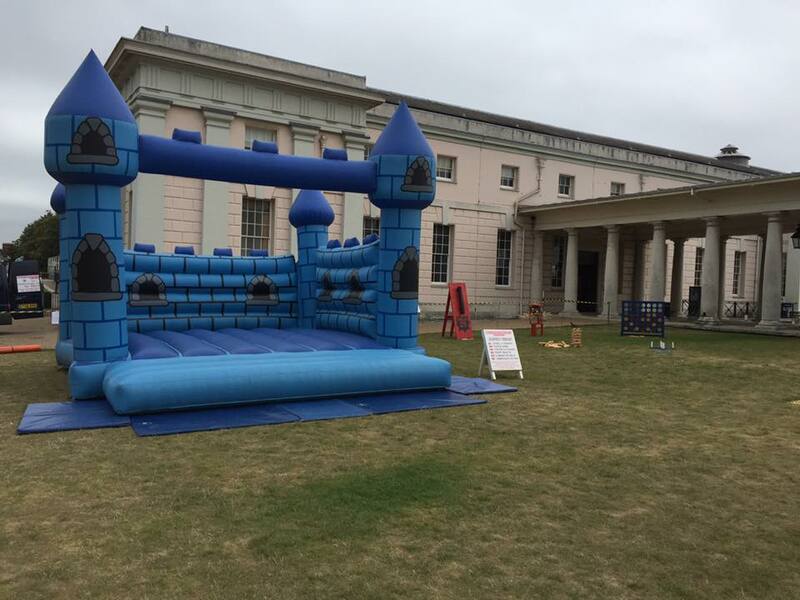 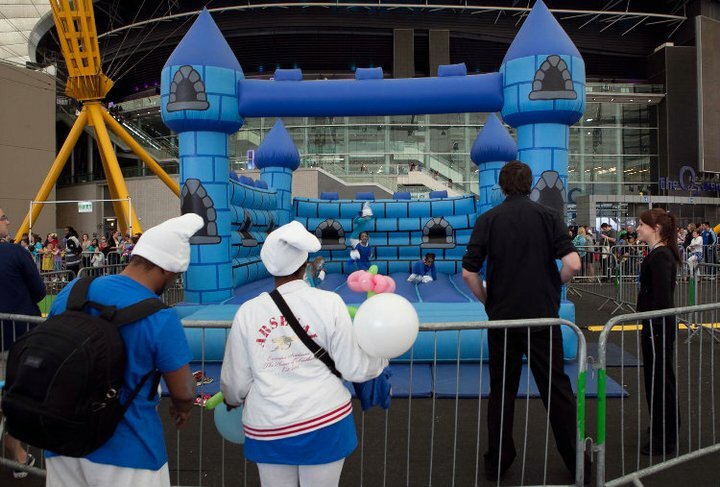 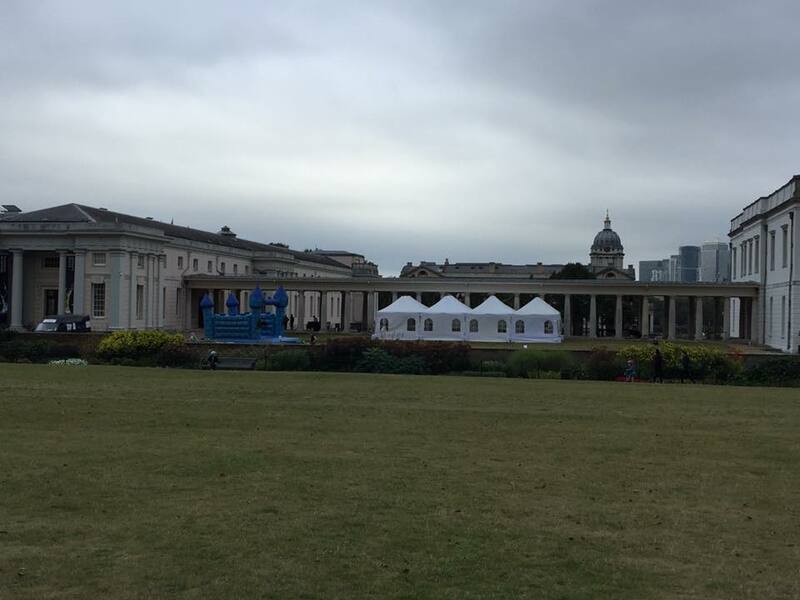 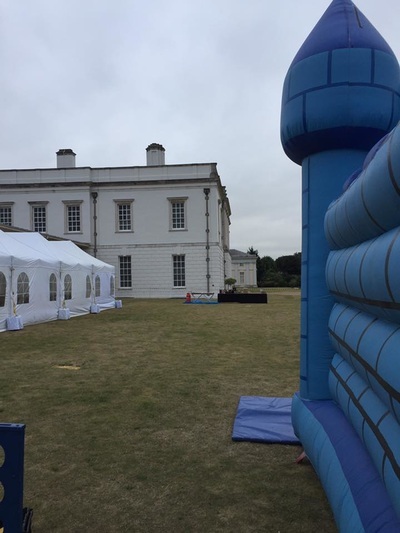 This Bouncy Castle has been featured On BBC3s "The Mighty Boosh", "The Boosh Festival at the Hop Farm", and also the "Global Smurfs Day" at the O2, Greenwich as part of the launch of the 'Smurfs Movie'. This is suitable for both children and adults. 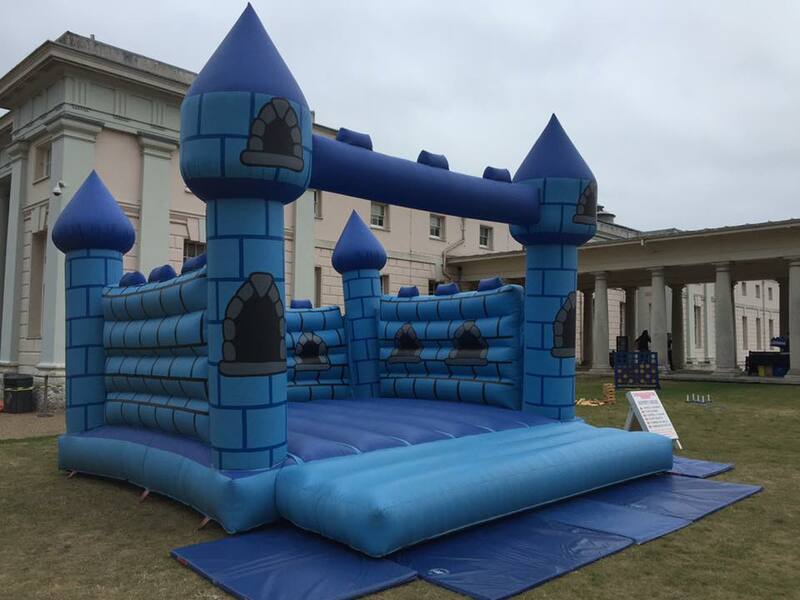 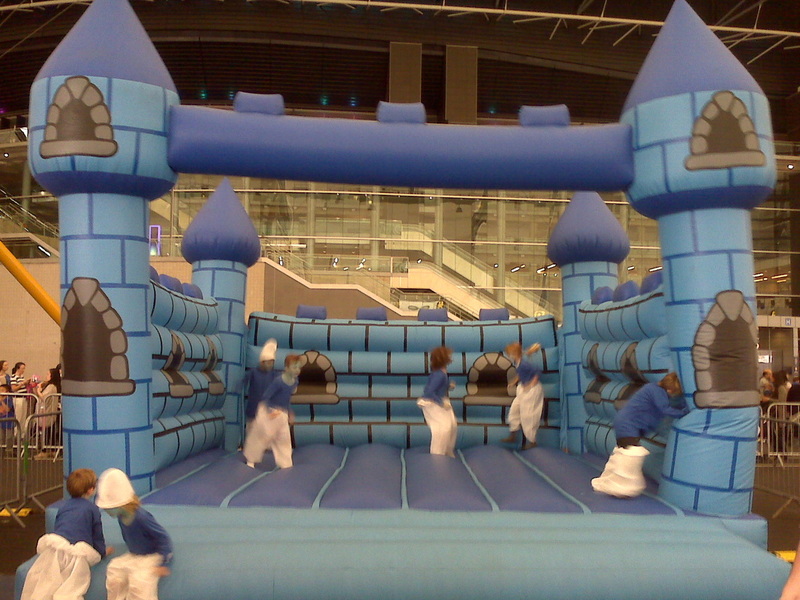 Ideal for any Large Event, Corporate, Filming, Promotional Launches, Parties or Celebration. 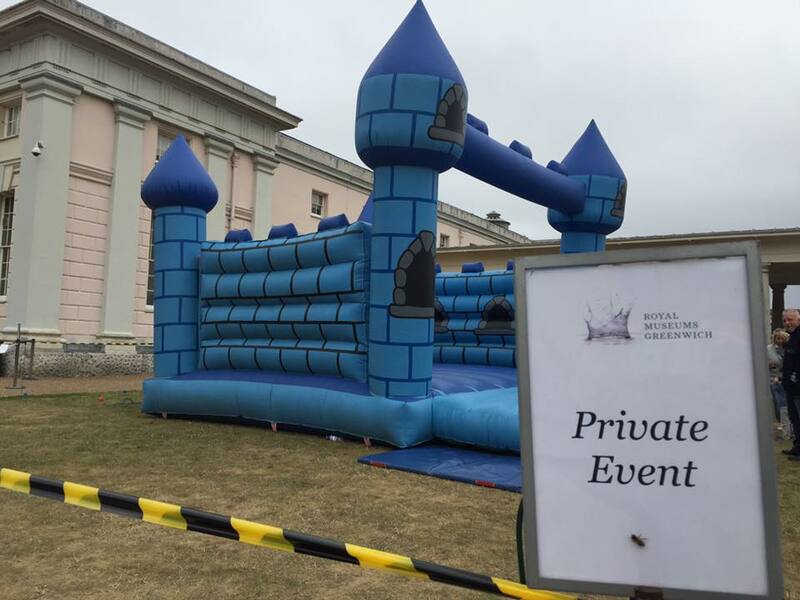 *Please note that this is a large Castle and as such no rain cover is provided.